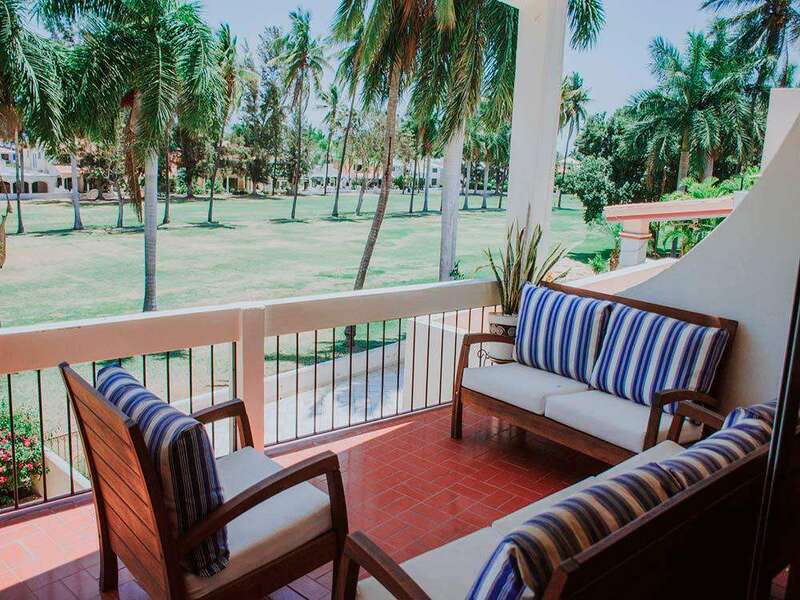 Casa Tranquilla is a beautiful, well appointed home located in the private gated community of El Cid. Overlooking the palm trees and the El Cid Golf Course of # 9 Castilla, this residence is ideally situated for a sun-filled holiday. Casa Tranquilla is a beautiful, well appointed home located in the private gated community of El Cid. Overlooking the palm trees and the El Cid Golf Course of # 9 Castilla, this residence is ideally situated for a sun-filled holiday with all the perks. Spanish for “Relaxing House,” your stay at Casa Tranquilla will leave no doubt in your mind as to the inspiration for its name. Beautifully framed archways of rich woods combined with marble floors, neutral tones, give a classic hacienda look to the exterior, yet a contemporary feeling to the interiors of this home. The large, open plan living, kitchen and dining areas come together in a symphony of style. The sectional couch makes a perfect place to curl up with a good read, and the dining table is both stately and modern. The kitchen comes fully equipped with lots of counter space and a long breakfast bar. Two comfortable and immaculate bedrooms, with extra bedding accommodate up to four guests at Casa Tranquilla. The Master bedroom features en-suite bathrooms and air conditioning. Beautiful balcony space perfect for entertaining or just lounging around.